Don't confuse the Smart of Crime Project with the new conservative group Right on Crime, championed by Newt Gingrich and his friends. 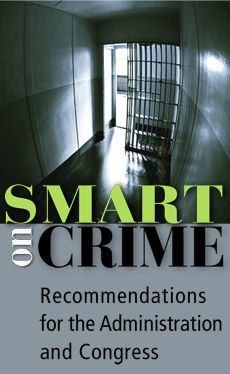 The Smart on Crime Project is the real deal. Today it released a 317 page report on how to fix our broken criminal justice system. The complete report is here . If you just want to peruse the Executive Summary, it's here. The recommendations are here. The website and project was sponsored by the Constitution Project. A list of contributors is here.